Bid.Aero, a marketplace for airplane and engine parts, is ready to fly but just needs a little help. 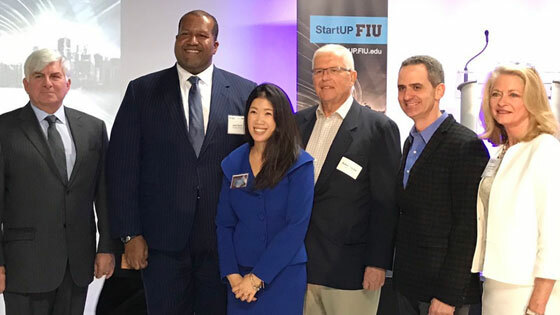 The Miami startup is part of Florida International University’s first cohort of StartUP FIU, a new multidisciplinary, multi-campus innovation program. “We needed mentorship and guidance. Running a startup is not the easiest thing. You never know what is going to come up with fundraising, developing the website and having to deal with business logistics, but it was the best thing possible to get into this program,” said Anthony Leon, Bid.Aero’s CEO. StartUP FIU (startup.fiu.edu) launched this fall on the Modesto Maidique campus, but much more is on the runway. Coming in early 2017: another cohort of StartUP FIU at the main campus, free and open to students and the community, with startups in any industry as well as social entrepreneurs. The StartUP FIU team will also be opening a tech-focused incubator in Kendall’s West End and a food incubator at the Biscayne Bay campus. Planned for next fall: StartUP FIU will power the College of Communication, Architecture + the Arts’ Ratcliffe Art + Design Incubator, started with an $831,000 gift from the Ratcliffe Foundation, at the Biscayne Bay campus. StartUP FIU is a startup itself, and its organizers were surprised that more than 300 businesses applied for the first two cohorts of its general incubator. “It’s further evidence that the market is underserved,” said Bob Hacker, director of StartUP FIU. 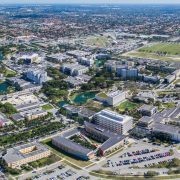 With most entrepreneurial activity in Miami’s downtown and Wynwood areas, there has been pent-up demand for programs out west, and location is one of StartUP FIU’s key differentiators. PLANNED FOR NEXT FALL: STARTUP FIU WILL POWER THE COLLEGE OF COMMUNICATION, ARCHITECTURE + THE ARTS’ RATCLIFFE ART + DESIGN INCUBATOR, STARTED WITH AN $831,000 GIFT FROM THE RATCLIFFE FOUNDATION, AT THE BISCAYNE BAY CAMPUS. Food FIU will take on a different model. Food startups will go through phases: A beginning phase includes working through basic business planning with StartUP FIU and the Small Business Development Center at FIU, and then an eight-week technical program about food production and machinery. Companies past that stage will be eligible for the StartUP FIU incubator if their products are scalable and they want to grow nationally or globally; if they aren’t scalable or they would prefer to stay small, they will have access to FIU’s state-of-the-art commercial kitchen. “We’ve met with community groups such as the Opa-locka CDC and Partners for Self Employment. They see a lot of food entrepreneurs come through that actually have zero support right now. We are working with community development people to drum up some customers,” said Gresham, who wants to serve businesses in the low- to moderate-income groups. It shouldn’t be too hard to find them — there are 8,000 food companies in Miami-Dade with four or fewer employees. Another new initiative: A pilot group of FIU students, under StartUP FIU’s direction, will work with faculty members to hack ideas on how to commercialize their nascent technologies. Patent applications are up, too. StartUP FIU will show some of these technologies at an upcoming Beacon Council event on Nov. 15. ANOTHER NEW INITIATIVE: A PILOT GROUP OF FIU STUDENTS, UNDER STARTUP FIU’S DIRECTION, WILL WORK WITH FACULTY MEMBERS TO HACK IDEAS ON HOW TO COMMERCIALIZE THEIR NASCENT TECHNOLOGIES. Hacker said the incubators may get even more specialized because there are very specific types of expertise in Miami that have never had entrepreneurial support, like arts and entertainment, for instance. But he said there will likely always be a general incubator at the main campus open to all industries. Back at the Modesto Maidique campus in the 19-company cohort 1, Bid.Aero is getting ready for StartUP FIU’s Dec. 6 pitch day. 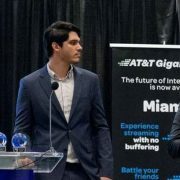 The three co-founders — Anthony Leon, CEO; Gabriel Martinez, COO; and Nicholas Rodriguez, CFO, all first-time entrepreneurs — were raised in Miami and have known each other since second grade. Leon graduated from FIU and majored in marketing, then worked at an airline leasing agency. Rodriguez majored in finance at FSU and then was a pricing analyst for FedEx, and Martinez is currently studying software engineering online at Arizona State. These co-founders take experiential learning seriously. Earlier this year, they all went through Wyncode’s 10-week coding boot camp and developed an early prototype for their idea. Then Wyncode recommended that they apply to StartUP FIU to further develop it. Bid.Aero’s b2b marketplace is up and running privately with a few clients. Bid.Aero already has suppliers and repair shops in Miami ready to put their products on its reverse-auction site, and StartUP FIU introduced them to others. In Startup FIU, Bid.Aero has learned to test assumptions and the importance of gathering feedback to make its product as customer-centric as possible. 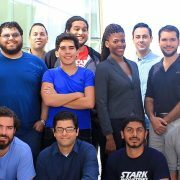 The team now works in space that StartUP FIU provided on campus. The co-founders haven’t started serious fund-raising yet, but they recently seized the opportunity to pitch to a full house at Refresh Miami’s Demo Day. The team aims to launch Bid-Aero publicly by the end of the year. 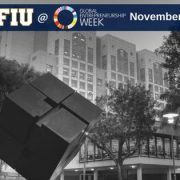 Nov 3rd, 2016 – Miami, FL – With less than two weeks to go, StartUP FIU is prepping for its first Global Entrepreneurship Week (GEW). GEW is celebrated every third week of November and aims to recognize entrepreneurs and their contributions to society. Like the startup’s they’ve inspired, GEW started out as an idea that became a global movement, with over 160 countries participating, and over 200 events in the U.S. alone. “Social entrepreneurship is in its infancy in South Florida but also worldwide. However, thanks to the collaboration between StartUP FIU and GEW we can increase awareness and generate positive results for the entrepreneurs and innovators in South Florida,” stated Bob Hacker, StartUP FIU’s Director. 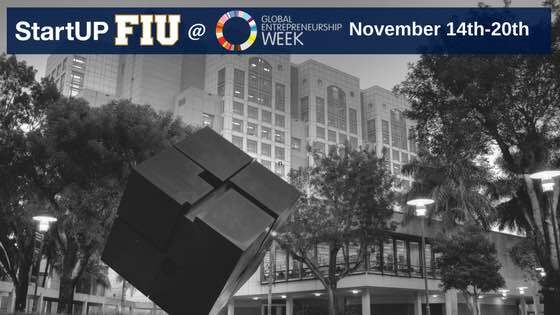 StartUP FIU has several lectures, workshop and networking events planned for November 14-20. Our GEW events are designed to clarify entrepreneur’s thinking, accelerate their progress and connect them with partners; investors and community members that can help take them expand their opportunity. The Innovation Showcase is presented by StartUP FIU in partnership with the Miami-Dade Beacon Council, and designed to showcase FIU entrepreneurs and innovators (particularly those with patents) and how their products and technology are impacting the way we live and work. The entrepreneurs and innovators will also highlight some of the challenges and opportunities in developing a patent-earning idea, as well as the process involved in commercializing these inventions. This is your opportunity to meet other inventors and nascent entrepreneurs, to network with veteran business leaders, investors, and funders from various industries. The Innovation Showcase is generously sponsored by Carlton Fields. CEO and Co-founder of Entopis, Dr. Obdulio Piloto and founder of The New World Angel investment group, Bob Nelson, will be co-guest speakers for StartUP FIU’s Speaker Series: Global Entrepreneurship Edition. Dr. Piloto completed his Postdoctoral fellow in Therapeutics: small molecules & peptides from Stanford University. At our Speaker Series, Dr. Obduilo will share with us his thoughts on the Future of AI Medicine and about his experience starting Entopis. Bob Nelson, founder of The New World Angel, a group of private investors dedicated to providing equity capital to early-stage entrepreneurial companies in the state of Florida, is an Angel Investor, Entrepreneur, Mentor and Executive with over 40 years of business experience under his belt. He will be sharing his strategy on how to get an investor to invest in your company, as well as his experience with the pitfalls all entrepreneur should avoid. Saturday, November 19, 2016, StartUP FIU and Wyncode will be hosting a one-day workshop on how to code. All you’ll need for this event is a computer that is able to access the internet. Write your first line of code using Ruby, mingle with aspiring developers and technology enthusiasts, and learn from Ed Toro, Wyncode’s Head Instructor, as well as other tech team members. You will have the opportunity to engage with coding alumni and developers and by the end of the day, you will have your first completed project! Inclusion We welcome everyone to apply to StartUP FIU, from high schoolers and college students to faculty from any university in South Florida. We welcome retired people, FIU alumni and people with no formal education. We received 160 applications to Cohort 1 and the applications were split almost evenly between students, alumni and the community. As they say, “we bet on the jockeys and not on the horses”. Free: To be truly inclusive a program cannot have financial barriers to entry. The signature, 13-week incubator program “Empower” is totally free–no application fees, no payments or charges during the program and no equity participation for the incubator. We also provide mentors, consultants, space and university resources at no charge. Stage Agnostic: When we first started talking to prospective entrepreneurs, we realized that many people did not even know how to advance their ideas beyond their first doodles on a piece of paper. Therefore, we decided that we would accept people who just had ideas, people that had a minimal viable product (MVP) but no revenue and companies with revenue. Applicants did not even have to have a company formed. General Incubator: We think of StartUP FIU as a startup. We are iterating to determine the best way to serve the South Florida community. Today we accept all types of ideas from food and fashion to edtech, high tech and medical diagnostics. We even have a chair company in Cohort 1. We may experiment with specially “themed cohorts” in the future as we continue to explore what types of entrepreneurship will best serve South Florida, but today we welcome applications from all industries. Authenticity: When one spends a lot of time with students, one realizes that they are most engaged by hands on, experiential learning. StartUP FIU’s incubator is offered through a group of entrepreneurs that use the customer fieldwork approach in a modified Lean Startup methodology. We do not use the professorial approach so common in most academic incubators. Demo Day at StartUP FIU is a pitch day to angel, seed and “A” round VCs. The last key decision Emily and I made was to combine traditional and social entrepreneurs in the same cohort. Several institutions have separate incubators for traditional and social entrepreneurs, but we found that perhaps only Y Combinator shares our view that all the entrepreneurs should be combined in one cohort. We opted for this approach in part because we believe that diversity breeds better collaboration. Secondly, we believe that the social entrepreneurs will help the traditional entrepreneurs to remember their responsibility to not only make a profit but also to improve society. Lastly, millennials have a high level of genuine social concern. As they reach the years where they become the major purchasers, they will force all entrepreneurs to become social entrepreneurs. Perhaps the evidence for this view of social entrepreneurship comes from the people and companies that began Cohort 1 Sept. 6 (pictured above). We have a former Detroit schoolteacher trying to provide better information about higher education alternatives to students. We have a team originally from Venezuela working to use bee keeping as a micro-entrepreneurship concept to help poor women raise their standard of living. We have a team composed of about fifteen FIU computer science graduate and undergraduate students from all over the world creating a new pedagogy for early child learning using the agile development methodology. We also have a PhD researcher from Baskin Palmer working on a new approach to eye diagnostics and a team building prosthetics with 3-D printers. As is obvious, the line between social and traditional entrepreneurship is becoming very cloudy. StartUP FIU will begin accepting applications Sept. 19, 2016, for its second cohort beginning in January 2017. Applications and more information about StartUP FIU can be found at Startup.FIU.edu. Robert Hacker is the Director of StartUP FIU and teaches social entrepreneurship at FIU, MIT and UM. He is the former CFO of One Laptop per Child and prior to that built a publicly traded billion-dollar company in seven years in Indonesia. He consults to companies in the U.S., the Caribbean and Central America on growth strategies and complex problems through GH Growth Advisors. His books on entrepreneurship and social entrepreneurship are available on Amazon. 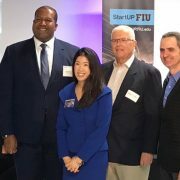 Florida International University in Miami-Dade County is joining a growing list of local universities launching incubator programs for startup businesses. StartUP FIU, which will include incubators in three locations, is designed to support startup business involving students, faculty, alumni and community members. Applications are being accepted for the first group starting in September. “We see a need to provide entrepreneurship education in the hands-on setting of an incubator to better prepare our students and others to create jobs,” said FIU President Mark B. Rosenberg. Broward College announced last month it would roll out over the next six months The Venture Formula, a 14-week program designed to successfully ramp up tech-related businesses in South Florida. And FAU Research Park, situated on Florida Atlantic University’s campus in Boca Raton, has operated a technology incubator for three decades. Currently, 19 tenants are in its technology incubator. FIU’s three incubators will focus on food businesses targeted at lower and middle-income communities, technology-focused startups, and general businesses including retail and clothing. He said all incubators will also have a “social entrepreneurship” focus, helping provide solutions to societal problems. “Our incubators are open to everybody,” said Bob Hacker, director of StartUP FIU. Hacker, who has taught entrepreneurship at FIU for 10 years, said he’d accept high school students — with a parent or guardian’s permission — as well as retirees and others from the community who have business ideas. “We would welcome people from Broward. We don’t have any geographic limits,” he said. StartUP FIU will also draw upon FIU faculty’s scientific discoveries and technologies to commercialize into new products. The main incubator will be in a 10,000-square-foot space, currently under renovation, on the Modesto A. Maidique Campus. A second incubator, Food FIU, will be at the Biscayne Bay Campus in North Miami. Food FIU will offer entrepreneurs access to a commercial kitchen, as well as technical expertise from faculty and students at the Chaplin School of Hospitality and Tourism Management. The third incubator space is being developed at a commercial building in the West End District, near Tamiami Airport. It will host technology-related startups and is already home to Topp Solutions and Dell/Alienware. The launch of StartUP FIU is being funded by grants from the Community Progress Makers Fund by Citi Foundation and the State of Florida Department of Economic Opportunity, totaling nearly $2 million, FIU said. For more information about StartUp FIU, go to startup.fiu.edu or call 305-348-7156. 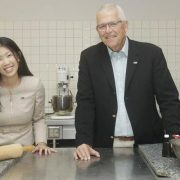 In the culinary kitchens of Florida International University’s Chaplin School of Hospitality and Tourism Management, Michael Cheng smelled opportunity. The commercial facilities were only being used about half time; as the director of the food-and-beverage program, Cheng thought FIU should offer the excess capacity to companies for a fee. Beginning this fall, the Food FIU program will help entrepreneurs from low- and moderate-income communities in three stages of development – those at the idea stage, entrepreneurs selling in farmers’ markets but are ready to move to the next level, and later stage companies that want to scale. Cheng, who is also an associate processor, said StartUP FIU will start working with firms from North Miami, where the Biscayne Bay Campus is located, with a potential Homestead outpost at a later time. The program is free, and the entrepreneurs do not have to be affiliated with FIU in any way. The Food innovation hub, supported in part by a $500,000 grant from Citi Foundation, will be one leg of a larger effort called StartUP FIU launching this fall. The interdisciplinary multi-campus resource for students, faculty, staff, alumni and entrepreneurs in the community will include physical spaces, programs and events for entrepreneurs and entrepreneur-wannabes to meet, collaborate, be mentored and take training. An accelerator will work with teams on commercializing concepts. Initially, StartUP FIU, will take root in three locations: the Modesto Maidique campus in Sweetwater, the Hospitality School at the Biscayne Bay campus, and a facility near Tamiami airport serving the growing cadre of technology and medical businesses there. The program has been appropriated $1.25 million from the state in addition to the Citi Foundation funding. It is run by Gresham, FIU’s assistant vice president for Research – Innovation and Economic Development, and Robert Hacker, StartUP FIU’s director. The program joins existing FIU entrepreneurship resources including the Small Business Development Center, a new Tech Station, the Miami Fintech Forum, the Miami Beach Urban Studios and the Pino Global Entrepreneurship Center. FIU is also a designated “changemaker campus” for Ashoka, the global network for social entrepreneurship. Despite those existing resources, students had no one-stop-shop for connecting with resources, concluded StartUP FIU’s team after conducting more than 100 interviews with students, faculty and community leaders. Often, students didn’t know where to go, nor were they connecting with the larger community. Regionwide, students have more resources than just a few years ago. The Idea Center at MDC opened 18 months ago with an accelerator for MDC students, startup contests, events and a coding school. The University of Miami has been expanding its commercialization efforts, particularly in the healthcare area, working closely with dozens of startups. Florida Atlantic University in Boca Raton opened Tech Runway, an accelerator that also offers funding and mentorship for student and community teams. Broward College opened its incubator last month. These join a region-wide effort, fueled by the Knight Foundation, to accelerate entrepreneurship by expanding resources for mentorship, talent-building and funding. Entrepreneurial co-working spaces, incubators and accelerators have been proliferating, but most are in Miami’s urban core. Social entrepreneurship will be a key facet of the program, said Hacker. He expects ongoing themes to include sustainable cities, sea level rise, food supply, medical technology and education technology. An international businessman, Hacker has been teaching entrepreneurship and socially concsious business for more than a decade at FIU’s Honors College and Engineering School and MIT’s Sloan School. “Miami enjoys the distinction of being the only city in the world that has two Ashoka Changemaker campuses – FIU and MDC. I think that both universities are fomenting all kinds of social entrepreneurs looking for support. We are interested and committed to putting incubators in communities that have not been served by incubators, and I think that will also naturally produce social entrepreneurs,” said Hacker. 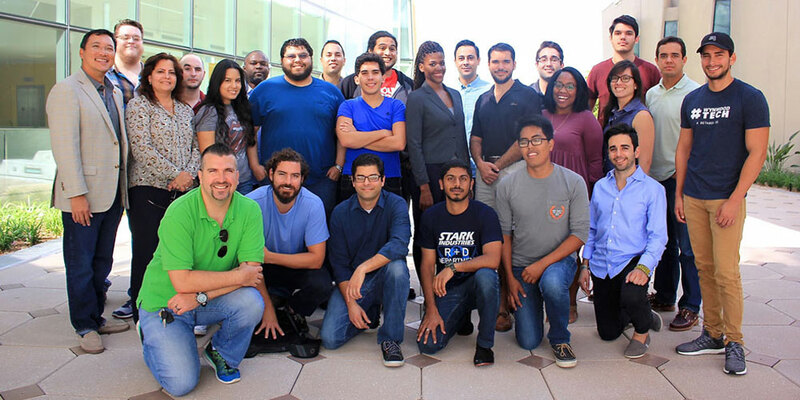 As a startup itself, StartUP FIU has been developing over the past year, gaining grassroots support. StartUP FIU student directors Siegrist and Alessia Tacchella took Hacker’s course on Entrepreneurship and Design Thinking. That got the entrepreneurial juices flowing. But instead of working on their own startups, they jumped on the opportunity to help develop StartUP FIU. Tacchella, a finance/economics major who recently graduated, took the lead. They gathered a diverse group of students with marketing, finance and technical expertise and began meeting weekly to plan the launch and test concepts, she said. About 80 to 100 students have been turning out for events. “When you tell them you want to help them to make their idea become a company, they are thrilled about it. They can’t believe all the resources we are bringing in on campus,” said Siegrist, a communications student. Wifredo Fernandez, who co-founded The LAB Miami and was one of the founders of MDC’s’ Idea Center, offered insights on best practices and valuable connections, said Gresham. He now works with Gresham in the Innovation and Economic Development department and is StartUP FIU’s associate director. Applications are being accepted at startup.fiu.edu for the accelerator’s first class. The free 13-week program will begin Sept. 6, will include weekly programs, mentorship and regular milestones for teams to meet, and end with a traditional demo day in which teams pitch to investors. The new StartUP FIU hub at the Maidique campus, a-10,000-square-foot space in the Marc building, should be ready by January; the program will operate in temporary space until then. Programs at the Biscayne Bay campus and near the Tamiami Airport will also get underway in the fall. All services will be free.